Tarot is an ancient form of divination, a practice of discovering hidden knowledge. The Tarot is the story of the soul (pure spirit) wanting to become human. Then the soul becomes a duel entity being both spiritual and physical. The soul through a physical body takes the journey of life through all the trials and tribulations. You do not have to be psychic to read tarot cards. It’s a great tool for those who feel that they are not psychic enough but desire spiritual guidance and perhaps wish to guide others. The Tarot deck in a tool with which spirit is able to communicate with you for guidance for yourself or others. You are the translator. Working with tarot on a regular basis usually causes one to become psychic as you are opening the doors to spirit communication. Tarot combines numerology, astrology, Kabbalah and seasonal meaning. When you combine all the cards in a reading, they tell a story. But more than that, they can show a pattern or trend. Your Tarot cards will be consecrated to create a bond between you and them. The Rider Waite Tarot deck as shown in the picture. It must be this version and not the Illuminated or Radiant One. You will need to put your vibration on the cards for seven (7) days before the consecration of the Tarot cards. A piece of 100% silk fabric, big enough to wrap your cards (approx. the size of a man’s handkerchief). The fabric should be in your astrological colour, because the colour vibrates with the month you are born. See list, below. It is not okay to use another colour, but if you really don't like your astrological colour, please let Diane know and she will guide you accordingly. A second piece of 100 % silk fabric, about 18inch square, for layout. (This can be purchased after the workshop, if necessary.) It should be the same colour as the 100% silk fabric used to wrap your cards. A wooden box in which to place your silk-wrapped cards. This intensive weekend workshop provides you with the platform to now practise Tarot readings. It is up to you in your commitment to practise as much as possible to master your skills. Once you feel confident in your ability to provide a Tarot reading to a paying client, the next step, if you wish, is to receive a Certificate of Completion from Diane. Diane will provide her contact information during the weekend workshop. When you feel you are ready to receive your certificate, she invites you to contact her to schedule a time to give her a Tarot reading. She will then determine if you have successfully learned all the knowledge of the Tarot she passed on to you. If so, she will issue your Certificate of Completion. Use the Astrological Signs and Tarot Colour Correspondence chart, below, for choosing silk scarves or silk fabric to cover your Tarot Cards and for Tarot card layout. It is always best to use your astrological colour for your silk fabric to cover and protect your cards. The same for your Tarot card layout. However, if you really dislike your astrological colour and don't want to use it, it is permitted to use Purple, Violet or Blue. Please Note: Diane must inform every student that there are conditions she has agreed to in order to teach this form of Tarot. 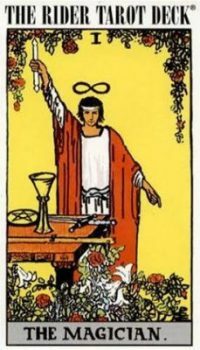 Although she is a huge believer in sharing information, she does not have the copyright to the Tarot information she provides in the manual. The copyright is held by another person. Diane only has permission to pass on the teachings to her students. As her students, you also do not have permission to share this information with anyone else. Therefore, before you start in the workshop, you must agree not to share this information with anyone. You will have all the information you need to do readings, but you do not have permission to give the information to anyone else. Fee includes a manual with complete information.